Dubai: Not every private developer in Dubai is building a high-rise or a mixed-use community – some see value in sticking to a niche. 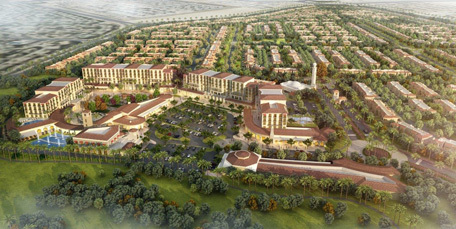 Chi-Sol Investments is testing that strategy with a collection of 20 villas at Jumeirah Golf Estates. And with a pricing very much on the premium side – Dh24 million and more for each of the six-bedroom properties. The plots for these “Hillside” villas are just as generous, from 12,000 square feet to 16,000 plus. And according to the developer, “Hillside is the only development on Jumeirah Golf Estates that is fully golf course facing,” it said in a statement. The “micro-community” is due for completion by May next year. Super-premium properties have been in good demand in Dubai this year, after a relatively mild performance in the last two. Emirates Hills has seen Dh100 million transactions, while Omniyat touched Dh102 million for a penthouse at its under-construction Palm project. Plus, the Bvlgari homes, also under development, have found buyers at Dh50 million and over. The design for the Hillside homes plays around a lot with natural light, as is the fact that it overlooks the Earth golf course. And when it comes to the interiors, luxury trappings abound. Some of the villas are to have Infinity pools, and for the more entertainment-minded among future owners, a dedicated eight-seater home theatre area. There is no scrimping even on the basement – the air-conditioned facility can take in five cars in one go. Buyers will also get access to the amenities on offer at Jumeirah Golf Estates. “Hillside is designing a lifestyle; we have blended contemporary trends and meticulous detail into an already sought after society,” said Gavin Comerford, Projects Director of Chi-Sol Investments.